This volume presents national reports describing the legal instruments that are available to prevent the payment of bribes for acquiring contracts. Anti-corruption is one of the preeminent issues in the modern global commercial order and is tackled with the help of criminal law and contract law in different ways in different countries. The reports included in this volume, from very diverse parts of the world, represent a unique and rich compilation of court decisions, doctrinal discussions and a pool of suggested solutions. The central theme is the enforceability of three problematic types of contracts: the bribe agreement, whereby a bribe payer promises the agent of his business partner a personal benefit in exchange for favourable contract terms; the agreement between a bribe payer and an intermediary (a bribe merchant), where the latter offers his expertise to help funnel bribes to agents of the business partner; and finally, the contract between the bribe payer and his business partner which was obtained by means of bribery. The analysis is tailored toward commercial contracts, which can also include contracts with state-owned enterprises. 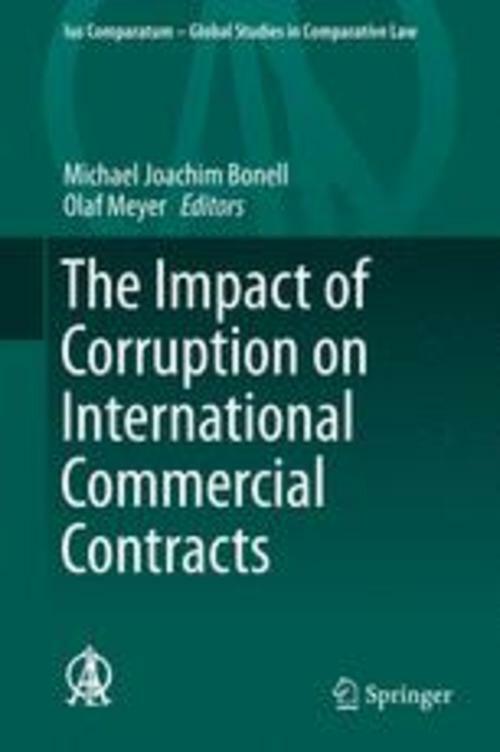 The examination and comparison of international and national initiatives included in this volume advance the discussion on the most appropriate remedies in corruption cases, and show how to get past the boundaries of criminal, private and contract law.